Sledgehammer, In Your Eyes, and Red Rain are some of the hits that made Peter Gabriel a rock superstar in the 1970's and 80's. Before he became a solo artist, he was already a star -- as lead singer of the band Genesis. 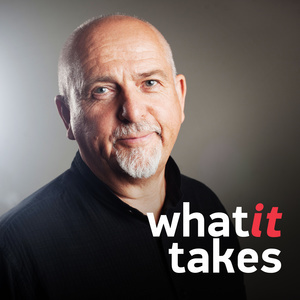 But somewhere along the way, Peter Gabriel also became a political activist, particularly after his song Biko became an anthem of the anti-Apartheid movement. Since then, he has devoted much of his time to creating two organizations dedicated to human rights, justice and peace… as well as a festival and record label that have given exposure to hundreds of artists from around the world. Gabriel talks in depth here about his multi-faceted career, and he shares his revelations about the nature of talent. Language Advisory: There is an expletive at 24:49. **The cuts of music from Real World Records https://realworldrecords.com are Fanm by Bokanté + Metropole Orkest, and Resistencia* by Los de Abajo. If you're a senator, a military leader, or a business executive accused of wrongdoing, Brendan Sullivan is the lawyer you probably want to call. 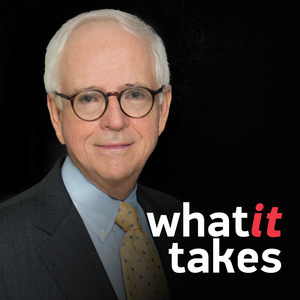 Sullivan is considered one of the greatest trial lawyers in the country, and has represented some of the most high profile defendants of the past fifty years, including Oliver North, Ted Stevens, and the Duke lacrosse players. But he began his career defending a group of soldiers during the Vietnam War, who dared to peacefully protest conditions in the stockade. Sullivan talks here about his cases and the abuses of government power he has unearthed. And he explains why he has such a pessimistic view about the state of our judicial system. This is the story of a true original... a woman who dominated the extreme sport of dog sled racing for years, was a four-time winner of the Iditarod (the grueling, thousand-mile race across Alaska). Susan Butcher, a legend of the Alaskan frontier, died at the age of 51 from Leukemia, but at the peak of her career as a racer, she gave this revealing interview. 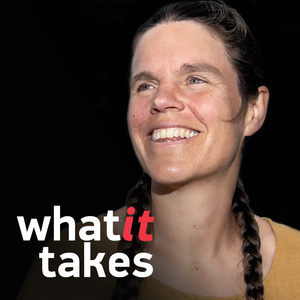 In it, she explains why she chose to live in a cabin without running water or electricity, 40 miles from the nearest neighbor, in weather conditions that most could not survive. She also describes the resistance she faced from male mushers during her early years as an Iditarod competitor. And she talks about the profound, almost mystical relationship she had with her beloved dogs. Thirty years ago, Dr. Arnold had an idea: to breed molecules in the laboratory the way we breed animals - to bring out the traits we want in them. The molecules she was particularly interested in were enzymes, which are essential to life, and which she knew could be used to make environmentally friendly materials, including bio-fuels, cleaning products, and pharmaceuticals. Her idea worked right away. It’s now called “directed evolution,” and it has had huge implications for industry. In 2018, it earned her a Nobel Prize in Chemistry (only the fifth ever awarded to a woman). 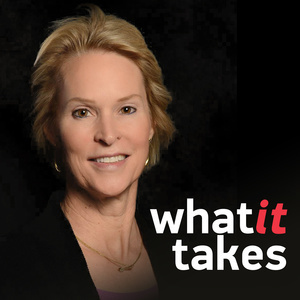 She talks here about the science, but also about the bumps in her life that helped her become an original thinker. He has been nominated for an Academy Award in every one of the past five decades, and won twice, for "Hannah And Her Sisters" and "The Cider House Rules". Fifteen year olds think of him as Alfred, Batman’s butler In the Dark Knight Trilogy. 85 year olds think of him as Alfie, the shameless womanizer in the iconic 1960’s film by the same name. 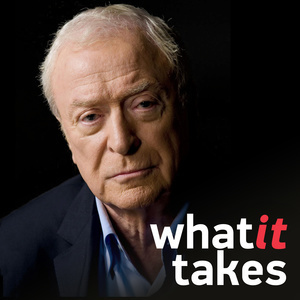 In between Michael Caine has been in 150 movies, and he’s still going strong. He is as amusing and charming off-screen as on, and tells story after story here about his beginnings as a scrappy, poor Cockney kid who, against all odds, became one of Hollywood’s most beloved actors. 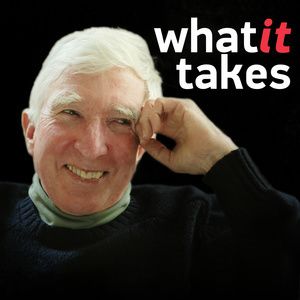 John Updike used his unique literary talents to peel back the layers of middle-class American life, exposing its less-than-placid exterior. He was one of the most prolific and esteemed American writers of his generation, who won two Pulitzer Prizes for his "Rabbit" novels but was as well known for his stories and essays and works of literary criticism. He talks here about his very beginnings in a small Pennsylvania town, and about his mother, who inspired him with her own efforts to get published. Updike also discusses his storied association with The New Yorker, which began the month he completed college and lasted until his death in 2009. And he describes the nitty-gritty of his daily writing routine. The man who broke the sound barrier in the experimental Bell X-1, and ushered in the era of manned spacecraft, never saw a plane when he was growing up in the hills of West Virginia. 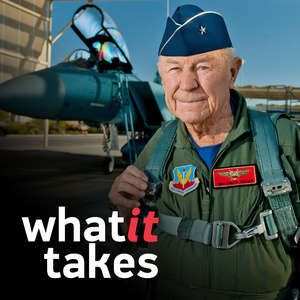 But he became an ace fighter pilot in World War II, and later - an absolutely fearless test pilot, who managed to survive the most harrowing mishaps, with an unflappable calm and sense of duty. He is one of the romantic singers of all time... with a voice people often compare to satin, to silk or to velvet. It's hard to describe, but you sure know it when you hear it. 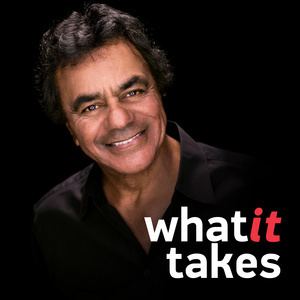 Johnny Mathis talks here about signing with Columbia Records at the age of 19 and about his life in music over the past 60+ years. He pays tribute to the African-American artists who paved the way for him. And he tells the story behind some of his greatest hit songs, including "Chances Are," and "It's Not For Me To Say." He grew up next door to Oscar Hammerstein and became his greatest protege. 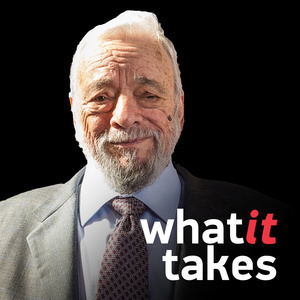 In 1957, Sondheim wrote the lyrics for "West Side Story," and for the next 60 years dominated the world of musical theater. His shows include "Gypsy", "A Funny Thing Happened on the Way to the Forum," "Company," "A Little Night Music," "Sweeney Todd," "Sunday in the Park with George," "Into the Woods," and "Assassins." 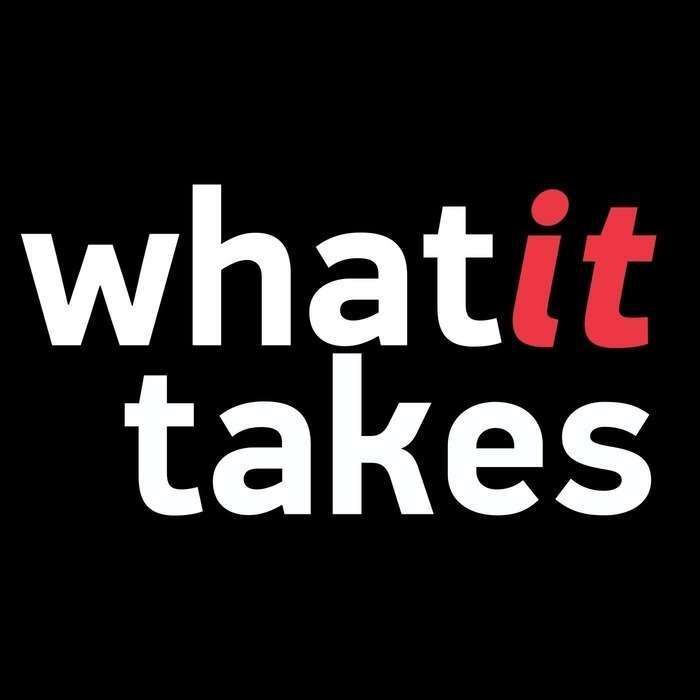 He pulls back the curtain in this interview, giving fascinating insights into some of the greatest Broadway collaborations of all time, and into the process of writing a song for the stage. Two of America's greatest poets - both former Poet Laureates and Pulitzer Prize winners - get to the heart of why poems speak to us when other forms of language fail. 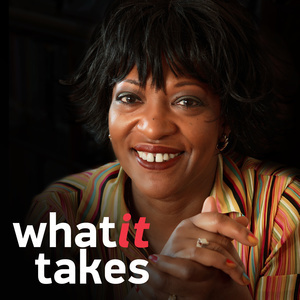 They also share stories about the people who inspired them to make a life in literature. And they read some great poems, of course! Man's relationship to mountain was forever changed by these two adventurers. 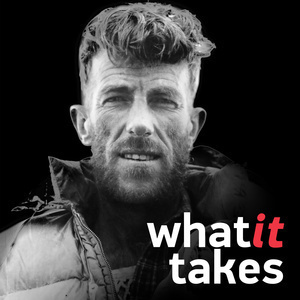 Sir Edmund Hillary was the first person to reach the summit of Mt. Everest. A generation later, Reinhold Messner became the first person to reach it solo, and without oxygen. They each tell remarkable stories here of what drove them to the top of the world, and how it felt to be there.